It’s been several months now since Samsung launched its Galaxy S5 flagship smartphone. Since that time, it’s won numerous awards and accolades for its cutting-edge hardware and software. With Sony gearing up to release its Xperia Z3 flagship smartphone in the upcoming months, however, some people are wondering if it will trump the Galaxy S5. In this post, we’re going to take a closer look at these two high-end smartphones. Upon viewing the Galaxy S5 and Xperia Z3 for the first time, you’ll notice these two devices look strikingly similar. Samsung’s flagship smartphone features a 1920 x 1080 pixel 5.1″ display, while Sony’s flagship smartphone features a 1920 x 1080 pixel 5.2″ display. Technically, the Xperia Z3 is slightly larger, but a tenth of an inch is a nominal difference that most users won’t notice. With that said, The Galaxy S5 features a colorful Super AMOLED display, whereas Sony opted to use a IPS LCD display in its smartphone. Both the Galaxy S5 and Xperia Z3 use the same Qualcomm Snapdragon 801 quad-core processor clocked at 2.5GHz, as well as the same GPU. There’s no clear winner between the two in terms of processing power, as both devices offer some of the fastest and most powerful hardware specs. The Qualcomm Snapdragon has quickly become the industry’s standard processor, and for good reason: it’s fast, reliable, and continues to outperform chips manufactured by other companies. So, how much storage does the Xperia Z3 and Galaxy S5 offer? Again, this is an area in which these two devices are nearly the same. Both the Galaxy S5 and Xperia Z3 are available in 16GB or 32GB models, with the ability to add an additional 128GB via a microSD card slot. If you enjoy taking selfies and other photos with your smartphone, you can’t go wrong with either the Galaxy S5 or the Xperia Z3. The Galaxy S5 boasts what many consider to be the best camera of any smartphone on the market. It’s a full 16 megapixels with LED flash and image stabilization technology. Sony went to great lengths to offer Xperia Z3 users a phenomenal photo-taking experience, however. The Xperia Z3’s camera is 20.7MP and features a 25mm wide-angle lens. The Galaxy S5 was released earlier this year. 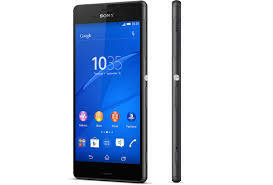 Sony has yet to confirm an official release date for the Xperia Z3, but analysts expect it will happen either in Q4 2014 or Q1 2013. Do you prefer the Galaxy S5 or the Xperia Z3? Let us know in the comments section below! Could you please find out is it possible for Samsung with their next software upgrade be able to add a per percentage key (%) to the calculator? This is one of the most frustrating things missing on the calculator key pad.